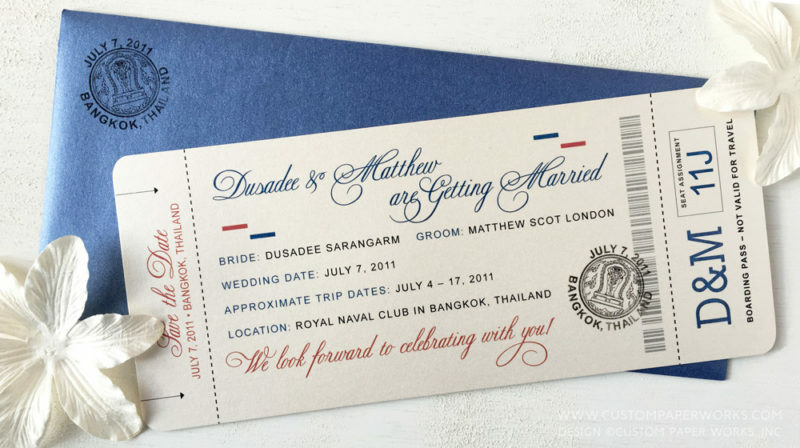 Simple, elegant, and formal in the form of a plane ticket / vintage boarding pass save the date. 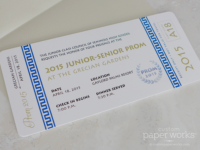 When the primary font and off-white and blue shimmer paper and envelopes are this beautiful, you don’t need much else to clutter up the design. Even after designing so many within this theme, this particular design is one of my all-time favorites. The textured faux passport stamp added some fun and hinted at the passport invitations that were in the works! It’s always nice to send extra information to guests when you’re inviting them to travel super far. 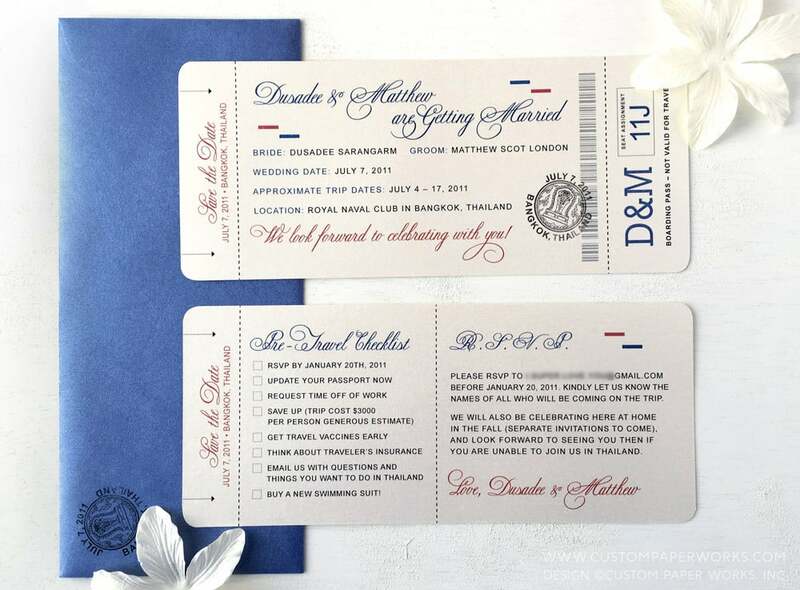 The back of the plane ticket card had a helpful pre-travel checklist that included a request to confirm potential wedding attendance; a reminder to check or get a passport; estimated travel costs; required vaccines; and other suggestions that especially help those guests that aren’t frequent travelers. 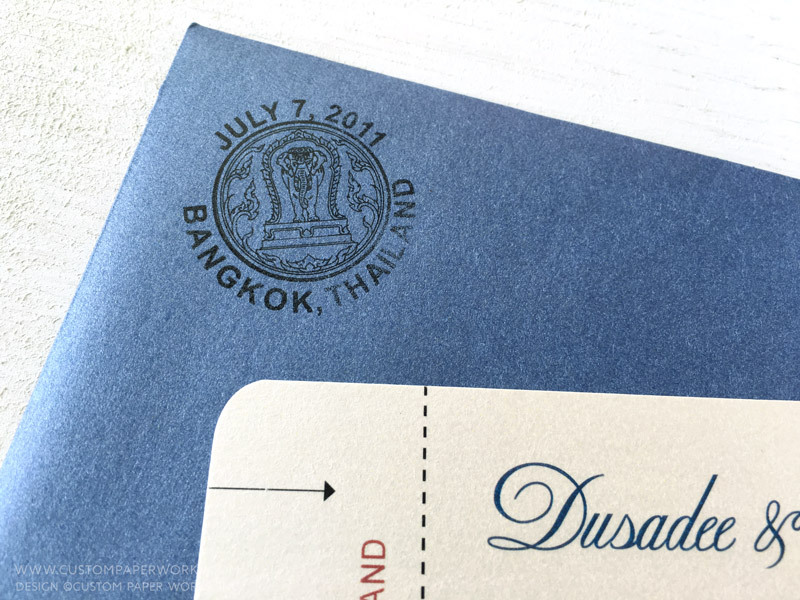 All of our boarding pass and passport invitation designs include completely custom passport stamp artwork designed to your liking. 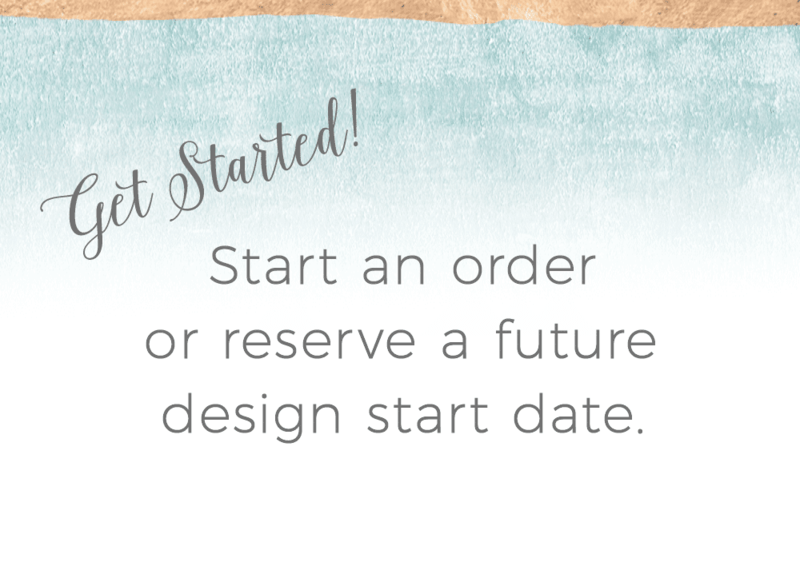 They’re a great way to add a super personal touch to your unique destination invitation stationery suite!